Hey Atlanta followers! Are you on the search for the PERFECT Summer camp for your kids? Well look no further! ROBOTS-4-U Summer Camps are now enrolling and my readers can SAVE 60% OFF with Code: TEX1660M15 but hurry this offer EXPIRES 3/31! Camps start at $299.99 (regular pricing) for 1/2 day sessions. We actually own a few of the ROBOTS-4-U robot sets and they are a amazing. ROBOTS-4-U clearly has a passion for teaching kids about S.T.E.A.M. ROBOTS-4-U Summer Camps are where fun, thinking & learning come to life. Choose from Robotics, Dynamic Art, Battle Bots and Drones S.T.E.A.M. camp programs. Campers have a blast, while learning and playing in a dynamic environment. 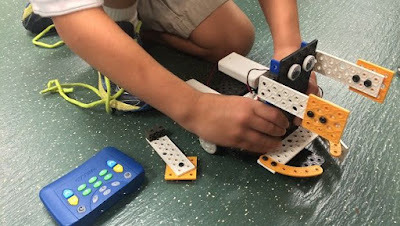 Kids will learn about robotics and science, in an independent and exciting way! -Hands on Learning, Self-Paced. Beginners to Expert! -Days: Monday to Friday Times: 9:00-11:30 a.m. and 12:30-3:00 p.m.
-Each Camper Individually uses a ROBOTICS or DYNAMIC ART Kit. Robot kits do not go home with campers but are available for purchase! 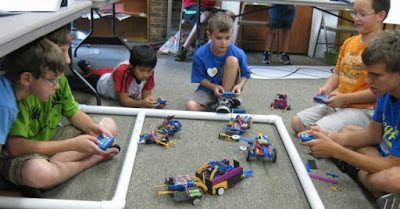 Visit www.ROBOTS-4-U.com to see dates and locations for these amazing day camps. For more details on the special 60% OFF offer visit the Robots-4-U Camp Special Offer Page.